As we mark a milestone in the career of Vector Lovers which sees the ten year anniversary of the project, we at Soma Records are proud to bring you the first single from the forth coming album iPhonica (so called as the whole album was created on the iPhone!). Featuring a spectacular remix of 'Patience' from Dutch wonder producer Bvdub backed up by the deep and trippy 'Replicator'. bvdub's remix opens the EP in truly ambient form as lush, epic pads sweep through the opening layered with ethereal voices. The track quickly picks up the pace as a broken, almost two step beat works out over deep sub bass as more vocal trips allow this track to ebb and flow perfectly. Not content to let this track simply clock out, Bvdub continues to push this track beyond the limits as a gritty baseline permeates the layers of ambience and crisp drums making this one of our most epic remixes to date. Replicant is pure Vector Lovers at his best, A pulsating bass rhythm kick off the track, dropping down in to a perfect four to the floor beat. Syncopated vocal cuts trip the track out while haunting pads flow through adding an air of mystery while expertly timed fills help kick this track onto the dance floor. 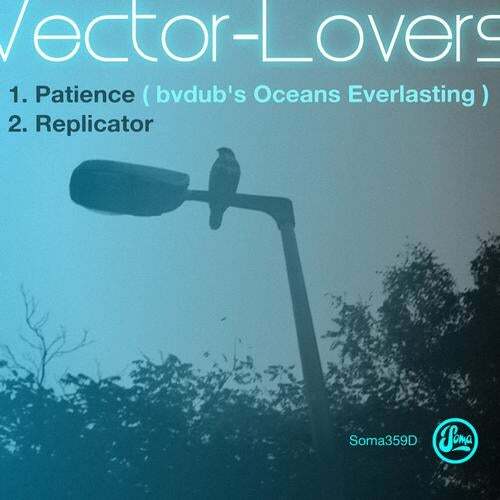 This EP perfectly balances Vector Lovers' machine funk with bvdub's masterful rendition of Patience making us all the more eager to unleash iPhonice to the world. Silicone Soul, Nick Curly, Ramon Tapia, Fergie DJ, Darren Emerson, M.A.N.D.Y.